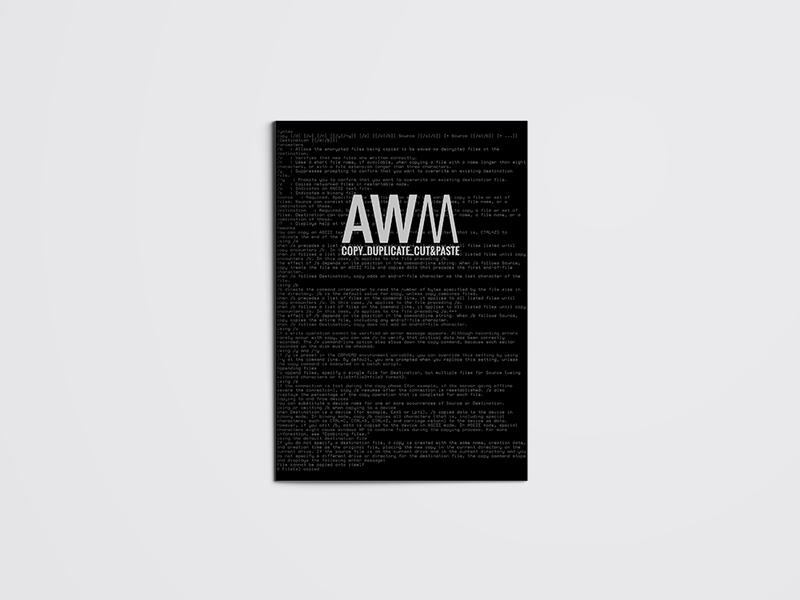 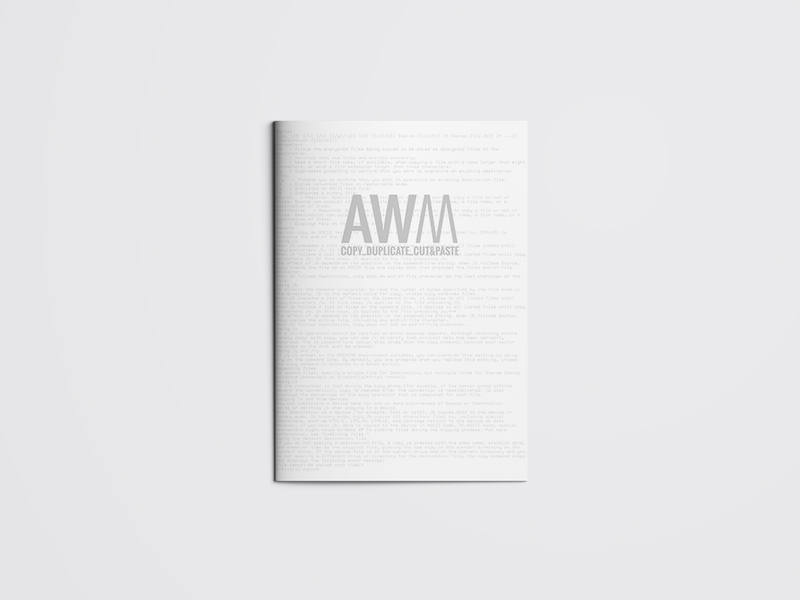 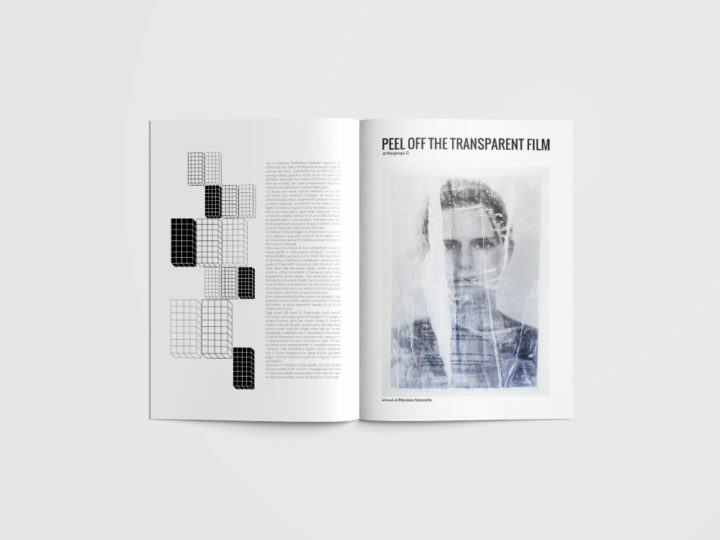 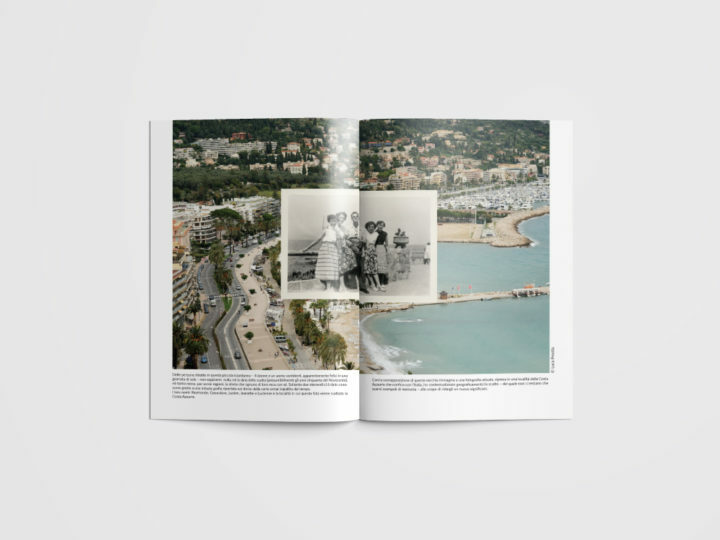 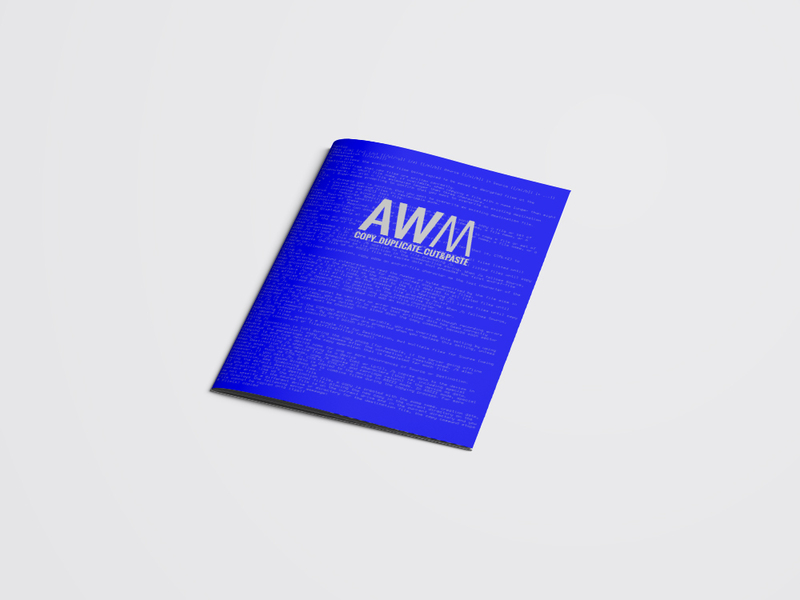 AWM is the biannual printed magazine by Artwort completely structured in Augmented Reality. AWM #02 is the third issue –after the #01 and #00 edition–. 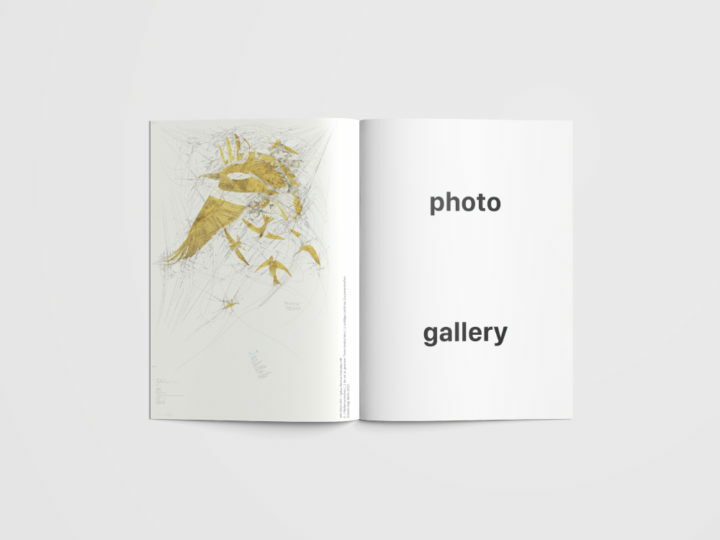 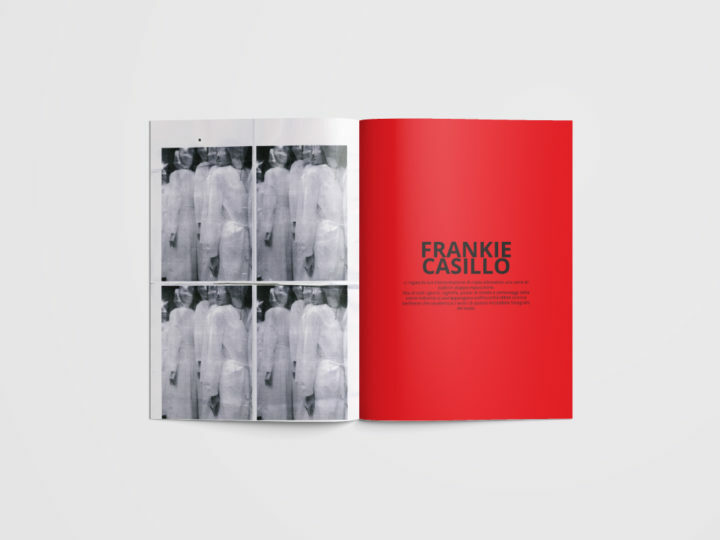 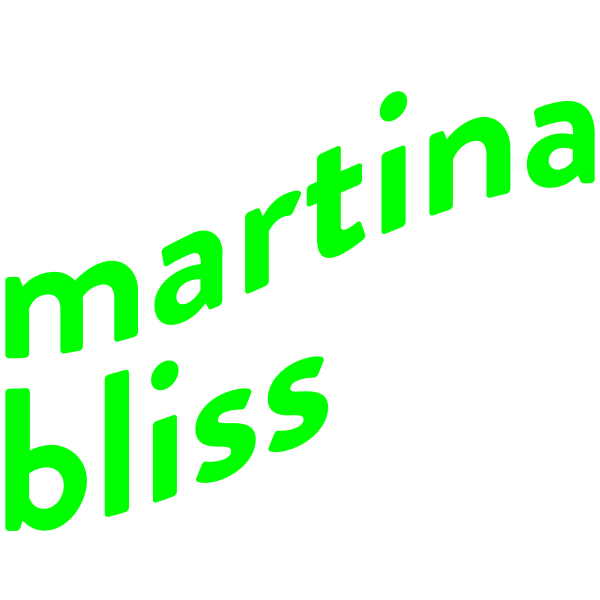 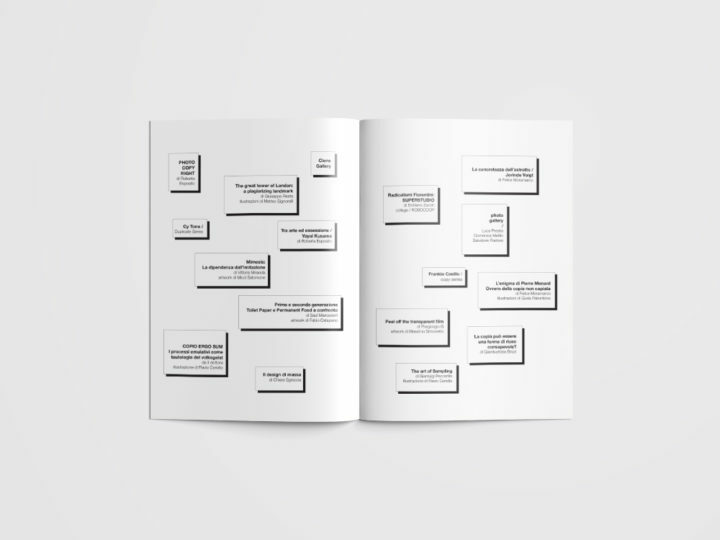 The main theme is “Copy, duplicate, cut&paste”, meant as a multiple-voice reflexion upon the different existing practices of imitating, duplicating and cloning, as well as about such concepts as authenticity and authorship. 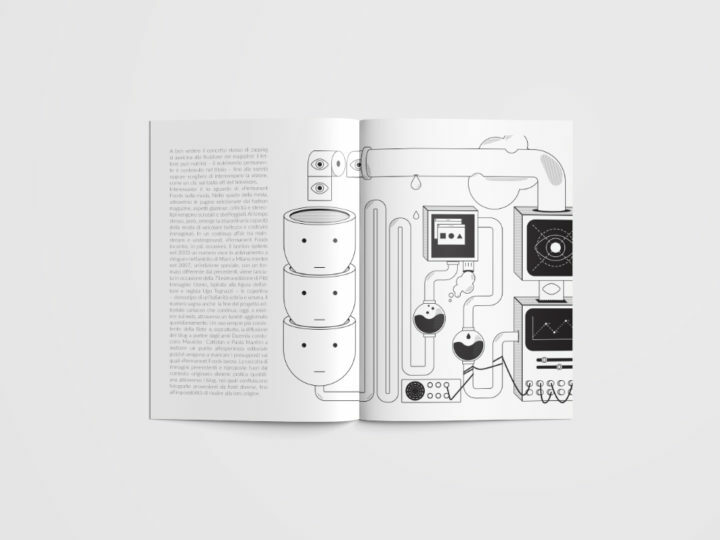 I have designed the layout.